Cherry Hills Village was incorporated in 1945 and is one of the most affluent zip codes in not only in Colorado, but the country. The city's most recognizable landmark is the Cherry Hills Country Club which was founded in 1922. The club has played host to many golf tournaments in its day, most notably the Men's PGA Championship in 1941 and 1985 and more recently the US Women's Open in 2005. The club will host the BMW Championship in September 2014. Legend has it that pro golfer Arnold Palmer's famous drink of iced tea and lemonade, the appropriately titled "Arnold Palmer" was first poured at the club. 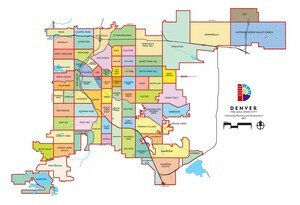 While only single family homes are permitted in Cherry Hills Village, many of the pristine estates list in millions. The Highline Canal offers residents of Cherry Hills Village an escape to hiking, biking and even horse back riding.